This is one of my all-time favorite dunk contest dunks ever. So it may not be flashy, but think of the athletic ability it takes to jump under the backboard, avoid it, rise back up and throw it down. Down 74-64 with 1:02 left against the 16-4 Spurs. Game over, right? Wrong. Tracy McGrady led a furious comeback and earned an 81-80 win for Houston. In the process, he dropped 13 points in the final 35 seconds of the game. Incredible, and one of the best individual performances in NBA history. Remember when Johnnie Morton did the worm? They just don’t celebrate touchdowns like they used to in the NFL. Admit it, when you played rec league basketball as a kid, you dressed like a clown. You wore the headband, or the armbands, or cut your sleeves off, and you know you wore high socks once or twice too. I’m not talking about the mid-calf socks everyone wears now. I mean the knee-high logoman socks. 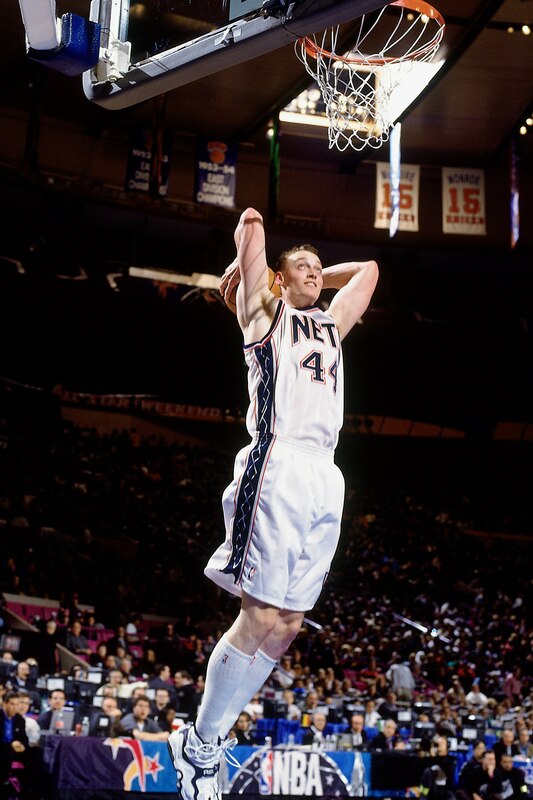 Either I grew up in a strange town (which I’m not denying) or every young stud basketball player had his “Keith Van Horn” moment, with those exact knee-high socks. Here at Going The Distance, we like to sprinkle in some randomness into your daily lives. A new theme, called #RememberWhen, allows us to refresh your memory by posting some of the most random events in sports. Whether it is an amazing stat line, an odd story, or just a funny moment, #RememberWhen will make you go “Oh Yea!”. With that, here’s our very first post. Remember when Kelley Washington scored a touchdown and did “the squirrel”?